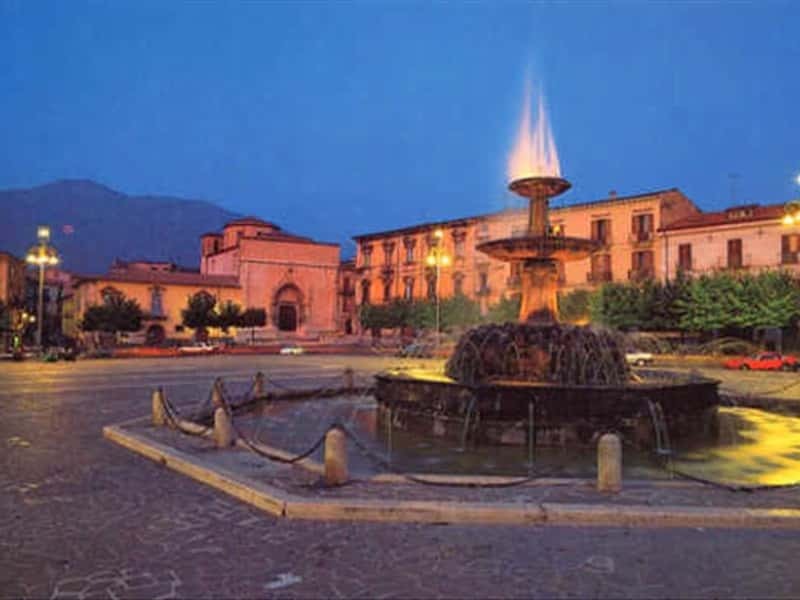 City in the province of L'Aquila, situated in the Valley Peligna, Sulmona is a charming city and home, not only of the famous "confetti" (almond candies), appreciated world-wide, but also of the famous Roman poet Ovidio ("Sulmo mihi patria est" - Sulmona is my home). Founded according to tradition by Suleiman, a companion of Aeneas, the ancient settlement "opium dum" Italico, whose original location is probably traceable on the heights of Colle Mitra, where a mighty walled polygonal testifies to the presence of a pre-Roman fortified settlement, however, is mentioned for the first time only at the time of second War between Tito Livio and Hannibal. It became part of the Roman Empire after the Social War of 90 B.C. During the Norman domain, impressive civil works were completed, such as the aqueduct, and the University of Canon law. The defeat of Conrad of Swabia and the rise of Anjou, the Ghibellines of Sulmona suffered the heavy consequences, nevertheless, the continued population growth led to the foundation of new villages and the extension of the original walls to in globe all these districts, gave the old town its present form. - the Cathedral of San Panfilo, with ancient origins, it submitted over the centuries, serious damage reported by several earthquakes and of the original Romanesque style remain only part of the apses, the double colonnade of the nave and the crypt; whilst the portal is of 1391. Inside it preserves precious frescoes, a XIV century wooden crucifix, an XVIII century choir and the sarcophagus of Bishop de Petrinis of 1422. This town web page has been visited 23,667 times.